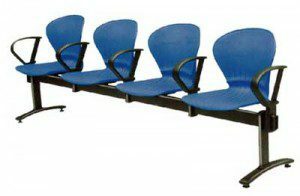 We can often see in public stacked chairs, plastic stacked chairs mainly put the put in the park, waiting for a bus and Banks, shopping malls, leisure area, we usually use stacked chairs there are two kinds of material, stainless steel and plastic material. Stainless steel runs through the advantage of good quality, long service life. Plastic material stacked chairs the advantage of cheap, convenient to put. In general public area is not so many qualitative factors, excluded from artificial damage, in the open occasions to prevent the corrosion effect of rain water, that is to say, stacked chairs belongs to the municipal construction of consumables. According to the characteristics of the stacked chairs, in the open occasions or not easy to manage places for plastic stacked chairs( which made by plastic chair mould ) is the most wise choice. High quality plastic stacked chairs using high quality plastic, corrosion resistance, so the elder is placed in the outdoor is not seriously damaged. And plastic getting lighter in weight, both mobile and disassemble very convenient, one to two people to complete.